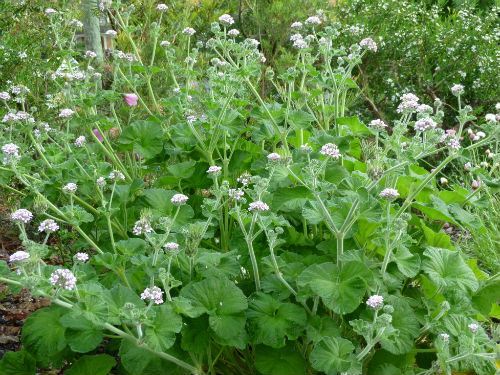 Pelargonium australe is found in all Australian states in coastal dunes and further inland in semi-arid areas. 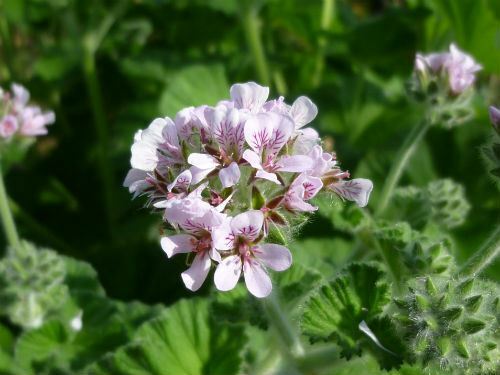 There are about 7 Australian members of the genus and Pelargonium australe is the best known and most widespread. Pelargonium and Geranium are often confused – however they do differ from each other by the shape of the flowers, with Pelargoniums having two larger petals whilst Geraniums have petals all of similar size. Pelargonium australe is a recent addition to my garden in the northern Sydney suburb of Westleigh. My plant is growing in a thin layer of light topsoil over a clay sub soil and receives little additional watering. I like this plant as it only grows to about 50cms high and its large leaves (to 6cm wide) make it a strong accent plant in my native garden. 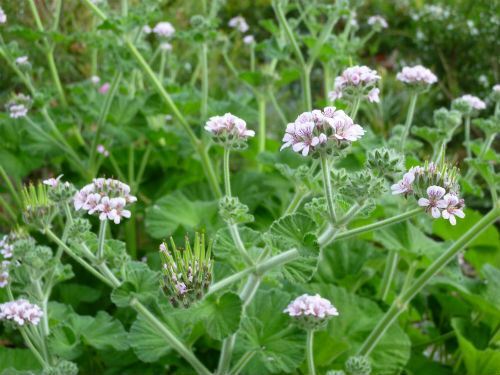 The many small pink flowers (10mm in diameter) are held on stalks above the plant. It is hardy in a range of soils. Pelargonium australe would also make an attractive container plant. It is well worth considering for any garden. Pelargonium australe strikes readily from cuttings and I have found that I always have a few self-seeded plants growing around the parent plant. Pelargonium -- from Greek pelargos, a stork, referring to the "stork-like"
Australe -- Latin for "Southern", referring to it global distribution.